Yes to a new capital. Burundi is moving its capital from the shores of Lake Tanganyika and deep into the nation’s central highlands. Authorities announced they would change the political capital from Bujumbura to Gitega, which is located over 100 kilometers (62 miles) to the east. The current capital will remain the nation’s commercial center, while five ministries will be established in Gitega beginning 2019, spokesperson to the president Jean-Claude Karerwa Ndenzako said on Twitter. The decision came just days after president Pierre Nkurunziza, who had promised to move the capital there in 2007 because of its centrality, held a government retreat in the city. The region is also the birthplace and the spot where nation’s last king Ntare V was killed in 1972. With a population of about 11 million people, Burundi is one of the poorest nations in the world. Since coming to power in 2005, president Nkurunziza has solidified his grip on power, with voters this year backing a constitutional referendum that could see him rule till 2034. The decision to relocate the capital is likely linked to Bujumbura increasingly being an opposition stronghold, leading to continued clashes between protesters and police. By moving its capital, the East African nation follows in the footsteps of other African states. Côte d’Ivoire, Tanzania, and Nigeria have all moved their political capitals after developing new ones beginning in the 1980s. 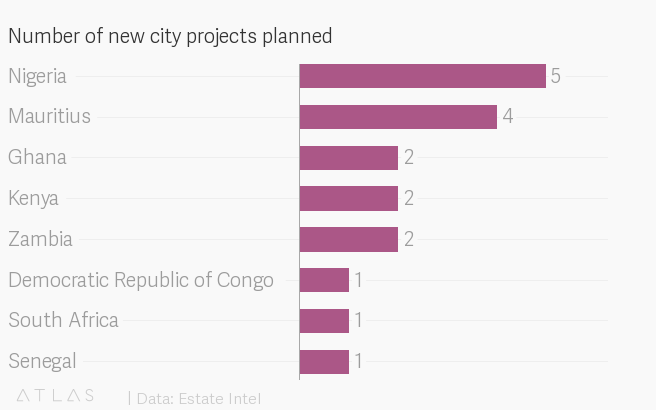 Many countries including Senegal, Nigeria, and Ghana are also building new, futuristic, billion-dollar cities to deal with increased urbanization and growing population.